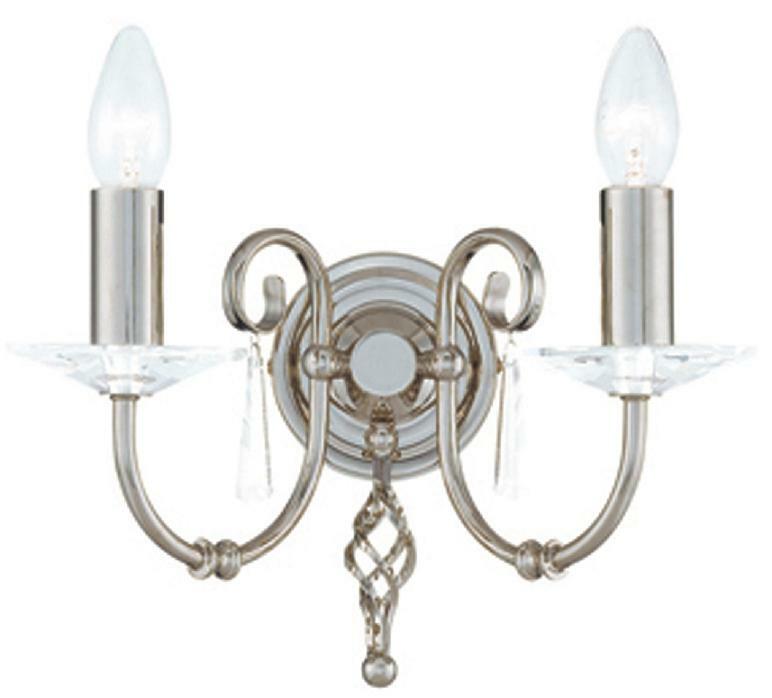 The Elstead Lighting Aegean Double Wall Light Features Hand Forged Scrolls Accented By Cut Glass Droplets And Sconces. The Aegean Wall Light Is Finished In A Highly Polished Nickel Plating. The Elstead Aegean Double Wall Light Will Add Style To Both Contemporary And Classical Settings.